On Wednesday, Larry Nassar was sentenced to up to 175 years in prison after a grueling trial during which more than 150 women testified about the sexual abuse they’d endured at his hands. Two-time Olympian Aly Raisman’s testimony was some of the most devastating—and was an impressive display of will in the face of her abuser. 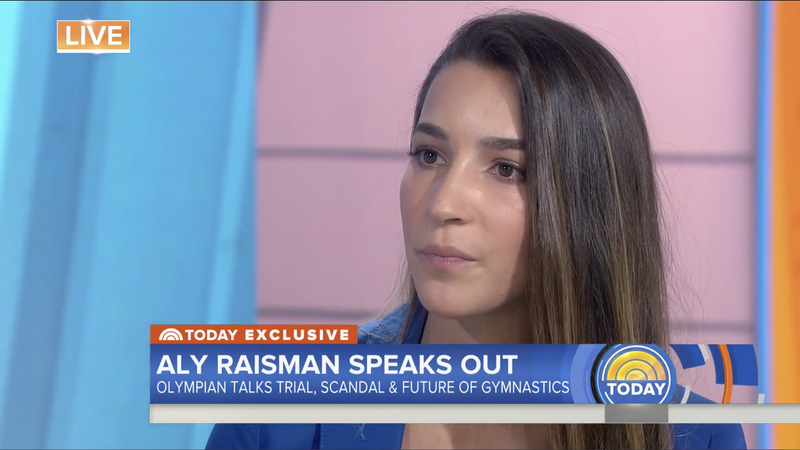 On Thursday, Raisman sat down with Hoda Kotb on the Today Show, calling for accountability from all the organizations that she feels failed her and her fellow athletes. Raisman’s composure during this post-trial press run is admirable—it’s the same kind of concentration Raisman called upon when competing, she said—and her composure is remarkable. Nassar made eye contact with Raisman at various points during her testimony—something she said she wasn’t expecting—but Raisman steadily held his gaze, drawing strength from the other survivors in the room.